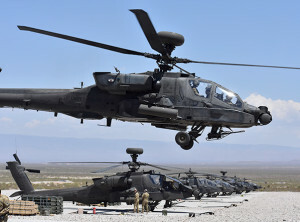 An AH-64 Apache helicopter takes off from a Forward Arming and Refueling Point during a 1st Battalion, 501st Aviation Regiment, Combat Aviation Brigade, 1st Armored Division, gunnery at Range 83 at Orogrande, N.M., April 23, 2018. Future Vertical Lift is one of the priorities of the new Army Futures Command. “We’ll potentially be in a near-peer fight in the near future … and it will be a difficult fight,” said Lt. Gen. Paul A. Ostrowski, principal military deputy to the assistant secretary of the Army for Acquisition, Logistics and Technology and director of the Army Acquisition Corps, during an Association of the U.S. Army breakfast in Arlington, Va., July 18. 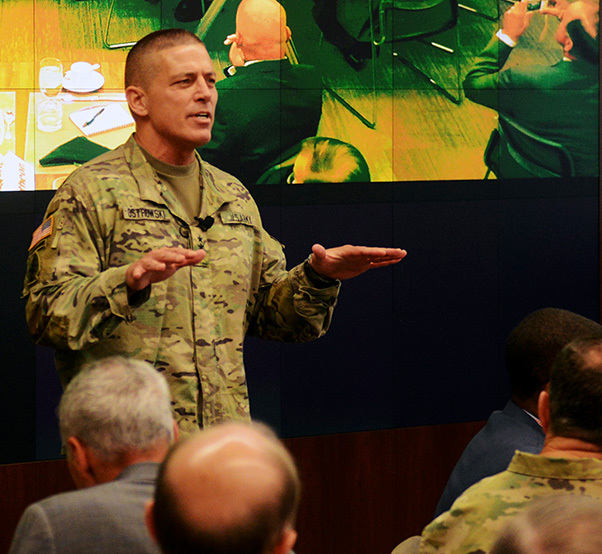 To counter these threats and help the Army maintain a decisive advantage over its adversaries, the new U.S. Army Futures Command will focus its energy on three pillars that will support modernization. — What will the battlefield look like in 2036? 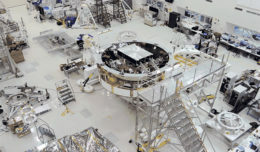 — What are the tactics, techniques and procedures needed to win in 2036? — Will the current organization revolving around brigade combat teams still be relevant in 2036 or does there need to be a reorganization? — How will quantum computing, high-energy lasers, directed energy weapons, hypersonics, and artificial intelligence change the nature of warfare by 2036? The second pillar is Combat Development, which is the ability to take those aspects of Futures and Concepts and turn them into requirements. The Army Capabilities Integration Center personnel will be involved in that. Lt. Gen. Paul A. Ostrowski, principal military deputy to the assistant secretary of the Army for Acquisition, Logistics and Technology and director of the Army Acquisition Corps, speaks on the new Army Futures Command at an Association of the U.S. Army breakfast in Arlington, Va., July 18, 2018. Ostrowski described the third pillar of Combat Systems as taking what has been learned from Futures and Concepts and turning that into experimentation, prototyping and capabilities that can be tested by Soldiers who give their feedback. Army Futures Command, which will be headquartered in Austin, Texas, will be focusing on those three pillars for years to come, Ostrowski said. “Futures Command is all about bringing together all the parts and pieces of the enterprise called modernization under one roof in order to get after the things that were missing all these years: agility, speed and the ability to ensure we can fight and win not only today, but well into the future,” Ostrowski said.